Australian Army soldiers from 105th Battery, 1st Regiment, Royal Regiment of Australian Artillery. Image via Commonwealth of Australia, Department of Defence. An Adelaide SME will play a crucial role in developing a world-first personal black box for soldiers, known as the “Fight Recorder”. Defence Industry Minister Christopher Pyne announced two industry partners will receive $700,000 in funding to fully develop this innovative product. Adelaide start-up telecommunications company Myriota and New Zealand wearable technology company IMeasureU were selected from 47 quality industry and university applicants from across Australia and New Zealand to develop the Fight Recorder. The Fight Recorder will be a soldier-worn system aimed at capturing valuable data on the battlefield, and will act as an emergency beacon to reduce the time taken to reach and treat battlefield casualties. Minister Pyne said, once delivered, the new technology could be the difference between life and death for wounded soldiers in the battlefield. 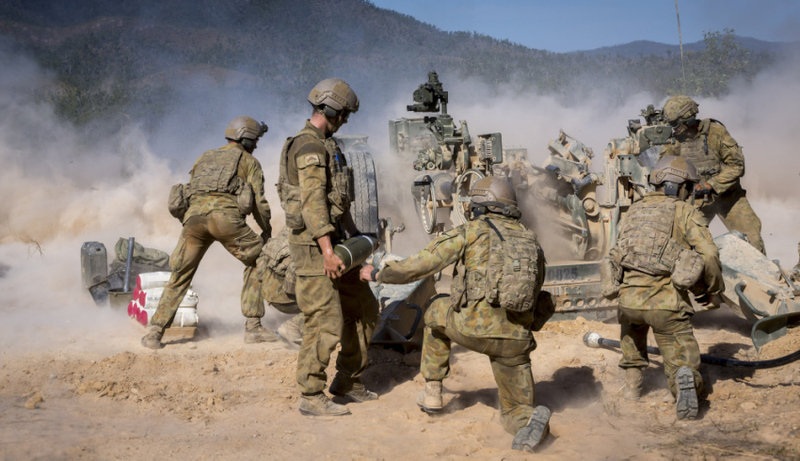 "Survival rates for battlefield casualties are closely tied to response times, and the Fight Recorder will enable Defence to quickly locate and treat casualties," Minister Pyne said. "In addition to serving as a location beacon, the data captured by the Fight Recorder could be used to inform the design and performance of soldier equipment and protective wear." When fully developed, the Fight Recorder could provide benefits in other physically demanding occupations, including emergency services and law enforcement. Myriota, which was recognised as Best Industrial IoT Start-Up Company at the Internet of Things World 2017 conference in Silicon Valley, has previously developed satellite water tank monitoring systems for farmers as well as ocean temperatures monitoring systems. Minister Pyne said Defence will work closely with Myriota and IMeasureU to help deliver the world-first innovation. The project funding comes from the $730 million Next Generation Technologies Fund, which launched in March this year and is designed to provide the creative solutions Defence needs while, at the same time, benefiting Australian industry.